Pleiades 1 FAQ Frequent Questions. Recently, by channeling, Gabriel began to receive from a section of the Pleiades, messages from a group of consciences called Pleiades 1. It’s a group of beings that have no physical form. I’ve seen them on some occasions and they look more like bright, boiling blue suns. Beautiful beings of pure energy! Some time later, on February 20, 2017, in view of the difficulties of some readers in understanding the Notes, P1 asked us to reinforce clarifications. The purpose is to lead the reader to the understanding that the fact that an auxiliary glossary exists does’nt mean that it is to rationalize notes, rather “it is to avoid rationalizing”. Pleiades 1 are beings who work on potential and precise calculations. One must have the mind and heart open to receive these information, given that, first the heart must be free of fears and prejudices, as the messagee are for the more Higher Self. There is also the need to abandon the rationalization of information to avoid falling into mental stress, since you will be able to decode the message only if you are mentally tranquil. The information is mostly coded and directed to the awaken of the surface and ethereal planes. When centered in the heart, they can understand the power of teh Message. Even if the rational/linear mind can not understand the meaning of some terms used, (those exemplified in the glossary), get to the higher level, understand the energy. One must also understand that the encodings will be understood according to the level of consciousness. The higher the level, the more accurate the understanding. But there is no judgment, in the sense of, “if you do not understand it is because you’re not so high.” NO! That’s not what I mean! If at first sight you do not understand, I invite you to leave the rationality/linear mind and go to the heart. Everyone can understand, once you use the heart to hear. If you don’t understand at first glance, does not mean that you can’t. You just need to calm the mind and go for the heart. There are many groups like this working simultaneously and bringing similar information to their groups on Earth. The example we have the codes provided by Cobra, a representative of the Resistance Movement. We also have the ÉirePort/Gaia Portal Group which brings coded messages. This group is composed of Light Bearers, more accurately, “Frequency Carriers” of various levels each helping in their own realms. The role of the group ÉirePort is to communicate with those with eyes to see, ears to hear and hearts to understand the breadth and fullness of our messages. 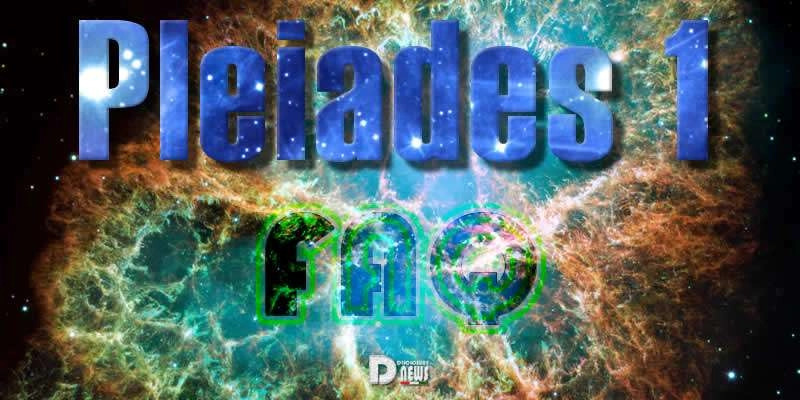 Pleiades 1, with the freedom that I have to report, say that it is a group bringing information not only to the Starseeds, Lightwarriors and Lightworkers, but to the globe itself, in all planes that make up this experience. Bring accurate information about what has happened on the surface, the etheric and higher Galactic plans. Accurate information and potential advances of the Light Forces in all areas, and behind the written and linear lines, bringing crystalline codes in Sacred Geometry format. They enter through the eyes and promote inner transformations, enabling the expansion of consciousness, so that each Lightworker can be recognized as such. They can help in this great process of planetary liberation from the dark forces and our reintegration in the galactic community, exiting the galactic quarantine. Again, I reiterate the need to use the heart to hear the information and thus integrating it in yourself. Thus you becomes more of an Ally on the ground able to receive, decode and distribute information/light arriving constantly. They come through the Pleiades 1, COBRA, ÉirePort or any other group with the mission to bring accurate and light codes. Pleiades 1 FAQ Frequent Questions. A list of questions that are most frequently asked about Gabriel RL’s Pleiadian channeled messages. Feel free to ask your own below in the Comments section. We will try to give you answers as much as possible.